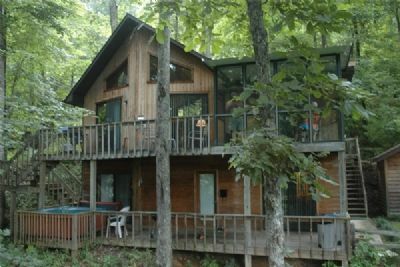 Welcome to our quiet retreat on the creek. 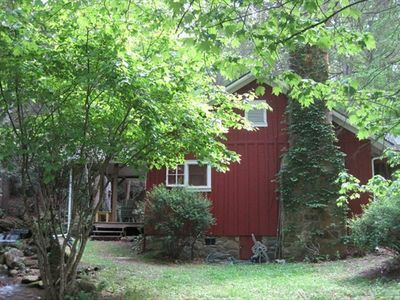 We are located on Jonathan Creek in the heart of Maggie Valley. 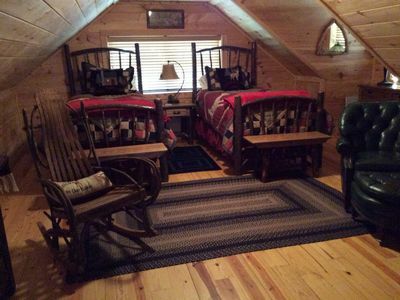 Our cabin is clean and cozy! 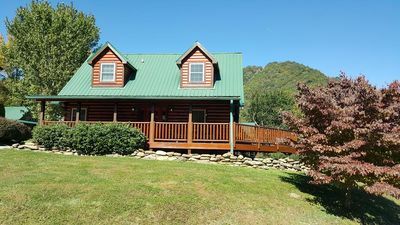 We offer a 3 bedroom, 2 full bath cabin with short range mountain views and creek side enjoyment. Listen to the sounds of the rushing creek, trout fish, float and play in the protected waterways of this beautiful creek. 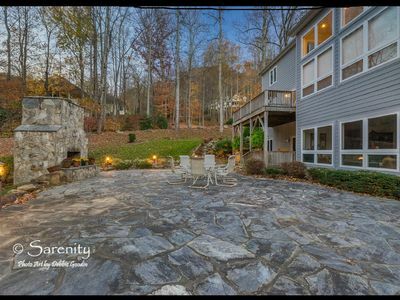 A flat back yard with fire pit provides evenings of fun around the campfire. 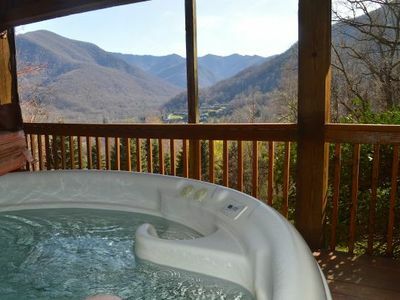 Our 6 person hot tub will help relax and rejuvenate you . 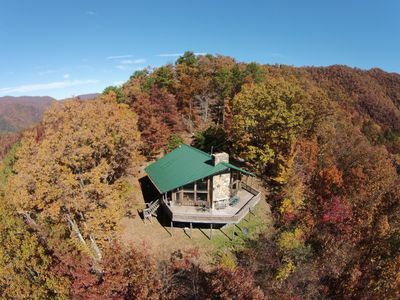 All paved roads and year round easy access makes this house a dream for families and couples anytime of the year. 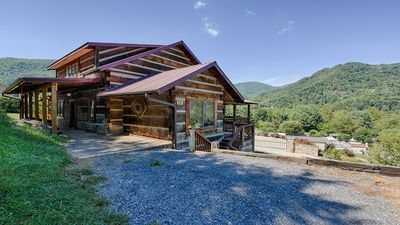 The interior includes a gas log fireplace, wood laminate in bedrooms and porcelain tile throughout kitchen, living room, bathrooms and laundry room. 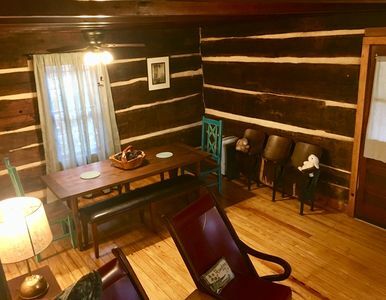 The kitchen includes dining area for 6 people and the house has a separate laundry room. 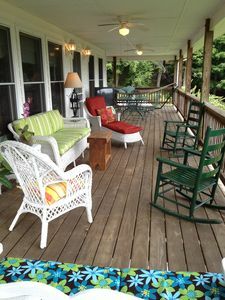 Two covered porches front and back with porch swings & rocking chairs. 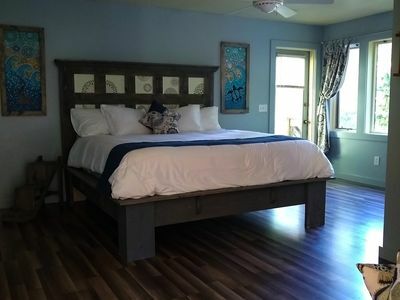 The master bedroom has a queen bed and its own private bath and bedrooms two and three have queen beds and a hall bath. 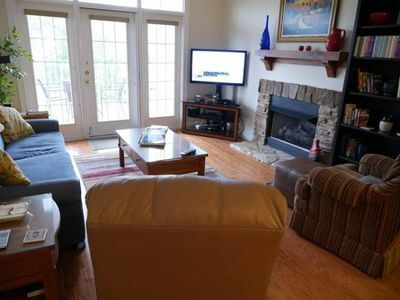 The house includes wireless internet, 3 flat screen TV's with cable and a DVD player in the living Room. This is a non-smoking home. 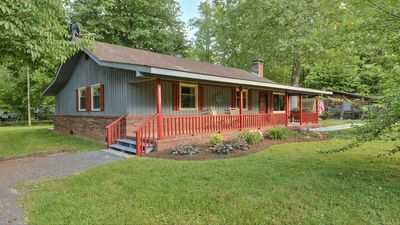 We are located on Moody Farm Road just down from the Maggie Valley Club. We are open year round and conveniently located on the valley floor providing easy access winter, spring, summer and fall. 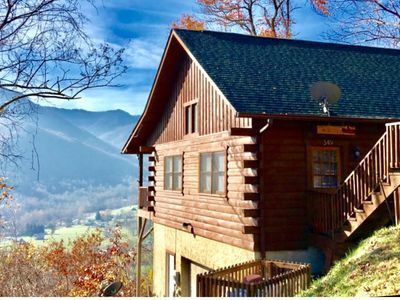 We are 7 miles from the Blue Ridge Parkway which will take you to the Great Smoky Mountain Park, Gatlinburg and Cherokee. We are motorcycle friendly with paved streets, 2 miles from Wheels Through Time Museum and just moments away from riding! 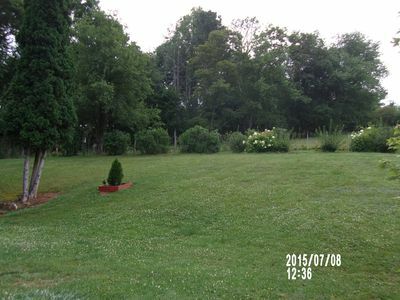 We are 1 mile from the Maggie Valley Country Club for golf, tennis and swimming. 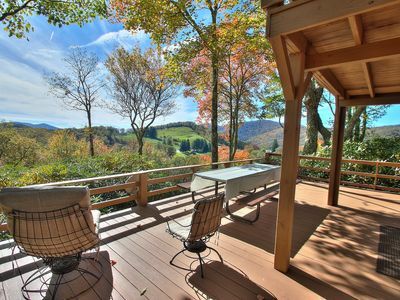 We are 7 miles from Cataloochee Ski and 5 miles from Tony's Tubing. 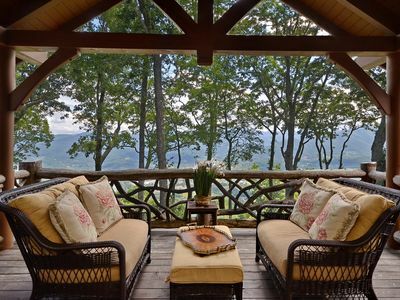 Nestled in the heart of picturesque Maggie Valley, North Carolina, this inviting mountain cottage offers the best amenities available in a vacation rental. 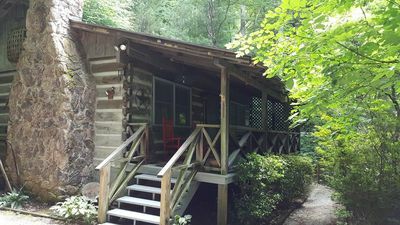 Come relax in the cool shade and enjoy the sounds of the creek at Shady Creek. The best reviews!! 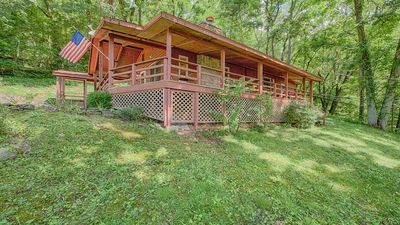 clean, comfortable, and close to everything!! 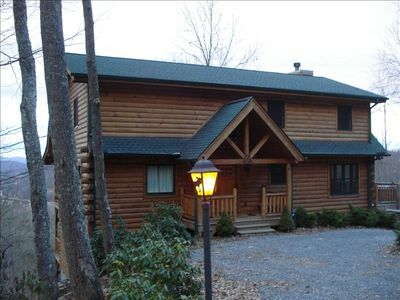 Elk Horn Ridge is a lovely log home, accommodates 6, WiFi, AC, easy access. 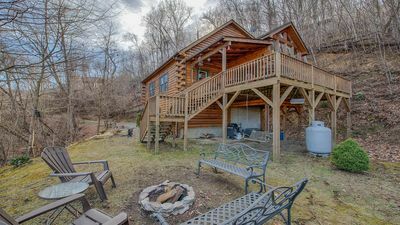 Hidden Cove Hideaway provides rustic enjoyment, views, woods, hot tub.